Now carrying 99% UV Blocking Plexiglas® Perfexion™ UF-5 acrylic sheets! 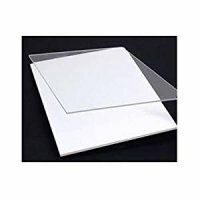 Why choose acrylic for your framing needs? Acrylic weighs 50% less than glass. You can ship artwork less expensively with minimal risk of breakage. Acrylic is stronger than glass. Acrylic is perfect for schools, day care centers, hospitals or doctor's offices - anywhere safety is paramount! But, not all acrylic is created equal! So, why choose Plexiglas® Perfexion™ UF-5? Click here for more information about this product from the manufacturer, Arkema.